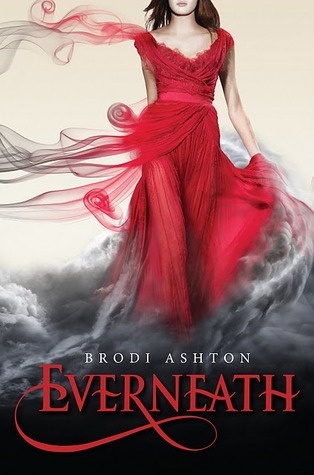 A great mix of mythology and young-adult romance, Everneath is definitely a debut you want to check out. Last summer Nikki vanished into the Everneath. Now she is back in the mortal world again, a completely different person. But her days are numbered; only six more months until she will disappear to the Tunnels forever. Will she be able to make peace with her destiny? Everneath easily slurps you in and doesn’t let you go until the very end. 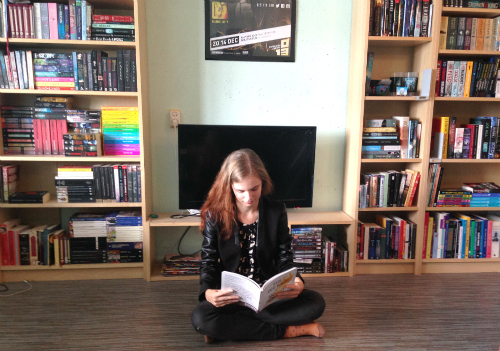 Because of the way the novel is built up, you alternately get little parts of Nikki’s past, and of her present. This way the story slowly unfolds, leaving the big secrets to hidden until the very end. Each chapter is numbered; the countdown of months Nikki still has here is unnerving, making for a quick and exciting read. What I especially loved in this book is the romance. Nikki and her boyfriend Jack are best-friends-turned-lovers, something that barely happens in young-adult books lately. There is no instant-love here, there’s no place for petty problems. They were and are an amazing couple, and I was totally rooting for them. What I also liked was that there was no love triangle here. There could have been; the immortal bad boy Cole would have been a perfect choice. But Nikki stays true to her one love Jack, even though Cole is definitely very attractive. I really appreciated this; it made their love even more convincing. Everneath will break your heart. But it’s so, so worth it.